· Soak channa dal in water for 2 hours. Drain the water completely. Make sure the water is drained well. Pat dry dal with clean kitchen towel. · Crush the soaked and drained dal, just run it in mixer for a few seconds. Don’t grind into smooth paste. Add all finely chopped ingredients to the crushed dal and mix it together. Make small lemon size ball with the dal mix. · Heat oil in deep frying pan in high flame, when oil becomes hot lower flame. Flatten dal ball and make vada with your palm. Make small hole in center. (wet hand in water before flattening dal balls. 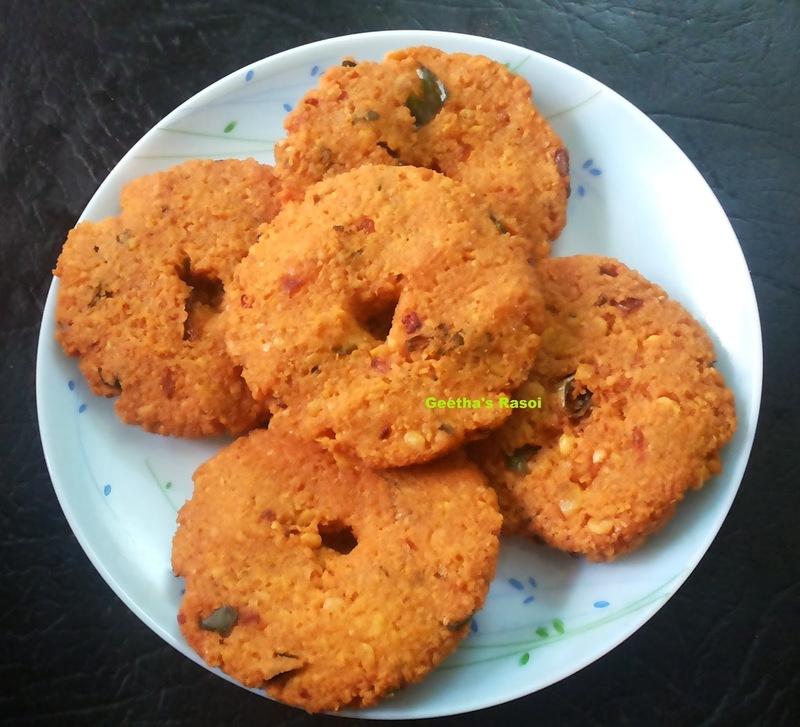 · Fry the vada till both side becomes golden brown. Drain excess oil in tissue paper .serve hot.